Whether it is at work, at home or at play, your friends and family could easily find themselves in need of your assistance. Completing an EFR and CPR course will get you prepared to help others in a time of medical emergency and the PADI First Aid course is designed to help you practice basic medical skills in easy to follow steps. This course is about creating confidence to use a little bit of training to help someone in their time of need or give them the best possible care while waiting for professional help. You can make a difference either in just making someone more comfortable, saving a life or giving them a better chance of recovery by using these techniques. 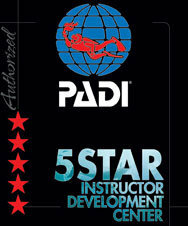 This world-class training is based on international standards and is recognized by most organizations. Kiwidiver Phuket has years of experience in teaching First Aid and all the tools to give you the best learning experience in Thailand. AED training and O2 Training provided on all our courses. Emergency First Response Secondary Care (first aid course) covers injuries or illnesses that are not immediately life threatening. Participants focus on secondary assessment and first aid through knowledge development, skill development and realistic scenario practice. 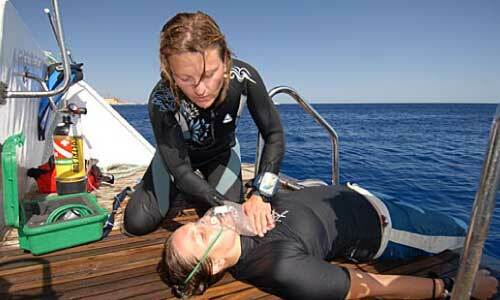 The combination Primary care & Secondary care course is the course required for PADI Rescue Diver. The Emergency First Response Care for Children course is an innovative CPR, AED and First Aid course that teaches participants how to provide emergency care for injured or ill children (ages one to eight) and infants less than one year old. Participants learn about the types of medical emergencies that children face, and how they differ from adult conditions. The curriculum also includes the importance of attending to basic emergency situations with children, the emotional aspects of caring for children, secondary care for children, and preventing common injuries and illnesses in children. EFR Automated External Defibrillator course (AED) for Scuba Diving represents entry level training designed to educate the general diving (and qualified non-diving) public to better recognise the warning signs of Sudden Cardiac Arrest and administer first aid using Basic Life Support techniques and an Automated External Defibrillator while activating the local emergency medical services (EMS), and or arranging for evacuation to the nearest appropriate medical facility. 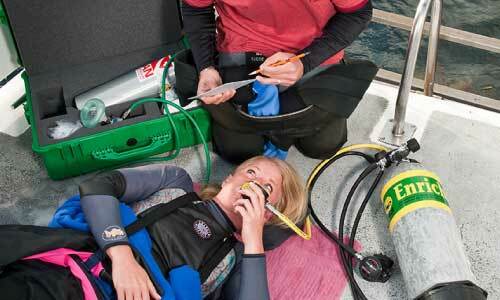 Receiving adequate oxygen is crucial, especially after any serious injury or illness. Emergency oxygen also aids in the treatment and prevention of shock. You can decrease patient stress and support the respiratory system by administering emergency oxygen. The following scuba diving related illness/injures can be assisted with the use of emergency oxygen administration: near drowning; decompression sickness; lung expansion injuries. Oxygen is extremely important as all living cells in our bodies engage in oxidative metabolism, the process of using oxygen to convert chemical energy required for life. A lack of or reduction in oxygen in the bloodstream can and often is life-threatening. Emergency oxygen is therefore recommended for breathing & non-breathing patients, who may be suffering from a lack of oxygen. During the 2 day Emergency First Response Instructor course, you will build on your skill as an Emergency Responder and focus on developing your instructional abilities to teach these skills to others.